Rockstar Games has announced more details about Gunrunning, the next major update for Grand Theft Auto Online. In a blog post, the developer outlined some of what’s new, beginning with Bunkers. These are huge underground areas that look like the main hub of operations. You can store things in your bunkers such as a Mobile Operations Center, which is a vehicle with a modular design that can include living quarters and weapon/vehicle workshops. Additionally, the drivable Mobile Operations Center lets you upgrade and customise vehicles, one example being adding turrets to a car to make it a machine of death. Additionally, you can command your bunker staff to conduct “research,” which takes the form of unlocking upgrades such as weapon mods and a “whole range of brutal tech” for vehicles. Additionally, the Mobile Operations Center can be upgraded. A series of new images from the Gunrunning update have also been released; you can see them all in the gallery above. 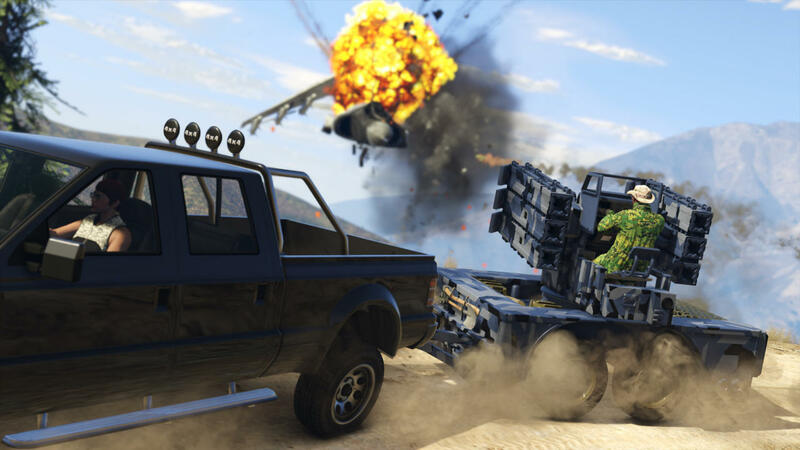 The Gunrunning update for GTA Online launches sometime in June. In other news, Take-Two recently announced that Grand Theft Auto V has shipped 80 million copies.